Are you looking for an an online small business loan? You’ve probably found yourself exploring our site and research tools. Many of us spend a good amount of time looking for a legitimate company that offers direct funding. The problem is that many websites claim they can easily get you a business loan. They say all you need to do is fill out an online application and you’ll know within 5 minutes if you were approved or not. What really happens here is that website will take your information and sell it to as many companies as possible. They hope you have great credit and a good flow of income coming in to your business. These online matching services are not direct lenders! Typically the companies that buy your application information are only looking for the cream of the crop when it comes to candidates for a small business loan. Anyone else that doesn’t fit their strict requirements will be cast aside and you’ll be back at square one. Another downfall of using an online loan matching service is that you don’t know where your personal and private loan information is going! We’re talking about social security numbers, banking information, phone numbers etc..
Luckily you’ve found yourself at our site! Now you won’t have to waste your time and worry about who is getting your personal information. With our Unsecured Business Loans Directory we’ve tried to make it as easy as possible for you to get an online business loan. We’re not a direct lender or an online lender matching service. Simply put, we host a directory of direct lenders that offer small business loans to consumers all throughout the country. With our directory of lenders you’ll be able to know whether a company is actually a direct lender! Additionally we try to give you as much information as possible regarding that lender such as how much you can borrow, specific states they currently lend in and other lender specific information. We built this directory of unsecured business loans in order to help consumers find a direct loan in the shortest amount of time possible. We strive to have the most accurate database possible and we try to update the directory at least 3 times a week. With that being said we can’t guarantee that everything will be 100% connect. Many of the online lenders listed in our database are constantly changing their loan terms and the states they offer loans in. Most of these changes are due to state specific regulatory issues and things can change overnight. Once you’ve found a reputable direct finance lender you’ll want to ask them as many questions as you can. Check their website and make sure they’re listed with your state’s regulatory body! Also, be sure that an online business loan is the best option for your specific financial situation. 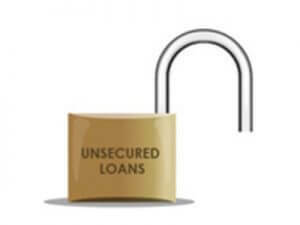 There are many reasons where you may need an unsecured business loan but you want to be sure your needs line up with your specific business loan & lender. Check out our latest blog post for more information on how you can determine whether you need financing or not. We’re always open to hearing your feedback or answering any question you may have. Feel free to contact us anytime if you have a question or concern that involves anything related to short term loans. Also, please let us know if you know of a direct lender that’s not listed in our database or if you see a company listed in our database that’s not a direct lender! We’re always on the lookout for new lenders to add to our directory of Companies that fund unsecured loans.